The e-commerce company that has made it in Qatar as the best online shopping site has free shipping nationwide, cash on delivery and quality buyer protection. And what’s the best online store of 2019 in Qatar? It’s Souq which is now Qatar’s nr. 1 popular and largest shopping site. With the lack of good competition and how connected the Arabic countries are, although Souq Qatar is based in Dubai, international shipping is free and fast. With the convenience of the largest online shopping portal that includes a buyer/seller marketplace for unparalleled access to items throughout the states. Obviously price competitiveness is another big factor, with popular products available for cheap thanks for their pricing algorithm that favors items in demand. And the other important factor is COD (Cash on Delivery) payments. Here are benefits from the best ecommerce site in Qatar. The biggest availability of products throughout the Arabic nations, together with a marketplace and international Amazon orders. Free courier shipping to Qatar for “fulfilled by Souq” items. Marketplace for access to sellers throughout the Arabic nation. Integrated international Amazon shopping, login with your Amazon account and purchase cheap AmazonBasics products locally. Shopping interface and support in both English & Arabic languages. All popular payment methods supported, including COD (cash on delivery), Visa & MasterCard, installments, Souq Wallet. Set interface currency and make purchases in Qatari riyal. 15 day money back guarantee and free returns for items not as described, fake or counterfeit for good user protection. Popular products at deals of the day page for cheap online shopping. All these features have set Souq way ahead of competition, ranking them at the very top of the e-commerce company list in Doha and rest of Qatar. The Souq marketplace lists Qatar as an international shopping destination. Meaning that products are delivered with global shipping, mainly from UAE. With the lack of big online stores in the country, online shopping is commonly done through sites located in other, bigger Arabic countries. But not all companies provide free shipping and cash on delivery like Souq does. And while free shipping is supported by “fulfilled by Souq” products only, the cost of delivery with other items on the website is also often reasonably priced. Shipping and delivery methods are commonly available to Doha & pretty much all other cities and towns in the Qatar nation for convenient online shopping. Here are other ecommerce companies worth watching out for (most are not online stores), ranked by their popularity on social media. If looking for the biggest and best site that covers most shopping categories from fashion, to baby & kids to electronic items. Souq is a convenient choice. 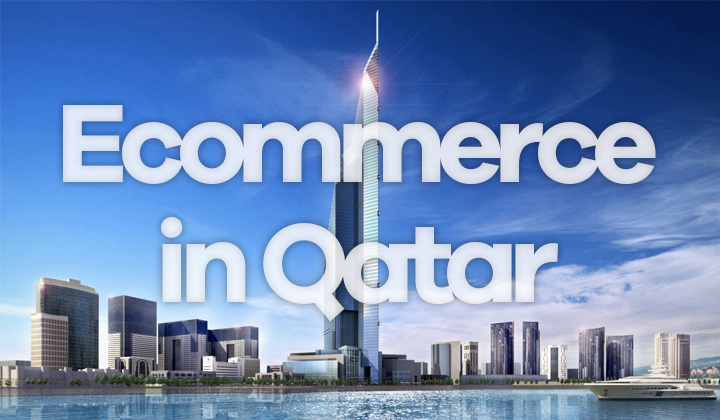 Inquiries concerning the ecommerce scene in Qatar? I’m happy to answer questions on online shopping in Doha. Great that you could stop by, thanks for reading. I also want to be transparent with my readership, notifying that sometimes affiliate links are located within the posts, guides and reviews here.